Leo Wanenchak, associate conductor, is an accomplished conductor, pianist, organist, vocalist, educator, composer and clinician. He has been with the Choral Arts Society since 2000. Leo has prepared the Chorus for appearances with the Baltimore Symphony under conductors Marin Alsop, Jack Everly, John Storgårds, and Yuri Temirkanov. Mr. Wanenchak is the Director of the “Larks,” a women’s vocal ensemble, community service project of the Junior League of Baltimore. 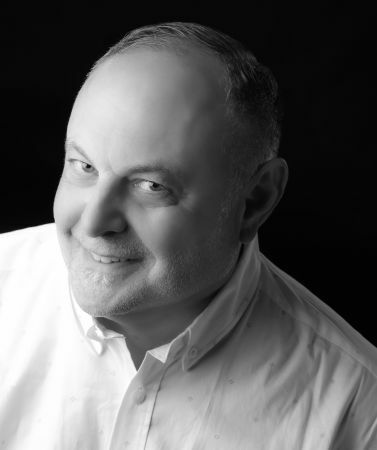 He developed and is musical director of the “ParkinSonics” choral ensemble for the Maryland Association for Parkinsons Support in conjunction with the Johns Hopkins Center for Music and Medicine. He has served as Director of the Children’s Chorus of Maryland, The Maryland Camerata at the University of Maryland Baltimore County, and on the faculty of the Peabody Preparatory Department as Director of Arts for Talented Youth. Formerly the Academic Dean and Director of The Walden School’s Choral Program, with the founding generation of the Walden School Leo founded Avivo.com, Creative, Comprehensive & Customized Education for Musicians. Throughout the United States Leo’s appearances include performances at Carnegie Hall, Riverside Church and Grace Cathedral. Performances abroad have brought him to France, Greece, The Netherlands and Rumania. He sustains a large private teaching studio in Bolton Hill.